At kbc we want to be offering glorifying worship. We long to be a church where people are being transformed inwardly through their purposeful interaction with the grace of God and as a result are being increasingly conformed to Christ. We long to be a church that, recognising its complete dependence upon God, takes prayer seriously and makes it an integral part of every aspect of our life together. We long to be a church that recognises the value of different approaches and styles of worship services. People meet for prayer (in the prayer room) before the 9.30am & 11.15am services, and in the upper room before the 6.30pm service. Groups also meet to pray on alternate Monday evenings, and once a month on a Tuesday morning, and there is a men's prayer breakfast once a month on a Saturday. Members of the prayer team are available to pray with people after each of the services. You can ask for prayer for yourself or for a situation known to you. A prayer diary is produced each month. We encourage individuals and small groups to pray through the items on it. The church is open for prayer on Wednesday afternoons between 2pm and 4pm. All are welcome. Please enter through the car park doors. You can either pray on your own or you can ask one of the prayer team present to pray for you, for someone else or for a situation that concerns you. There are lots of people involved in our services on a Sunday. If you are skilled in an instrument or in singing, there is often an opportunity to be involved in one of the music groups. Others help with the sound and AV or on one of the stewarding teams. At kbc we encourage people in the congregation to make use of Bible reading notes and online devotional tools. You can find out more about Bible reading notes in the entrance area on a Sunday. You could also try this online tool Word Live from SU. At kbc we want to be growing deeper in our relationship with God, learning to love Him more and learning to increasingly submit ourselves to the work of the Holy Spirit in our lives. From time to time we organise reflection days, and we have special Holy Week services in the run up to Easter. 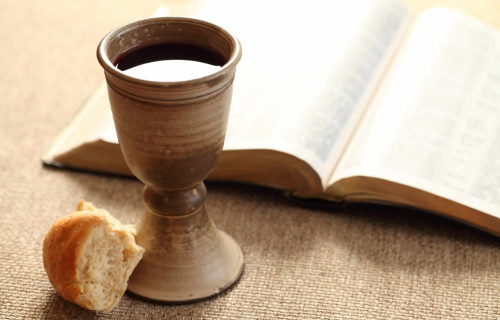 Several times a year we celebrate communion on a Sunday evening by gathering in a large circle around the Lord's table. We also try to give opportunity in our services and in the life of the church for the Holy Spirit to work among us.